A different event each weekday evening! 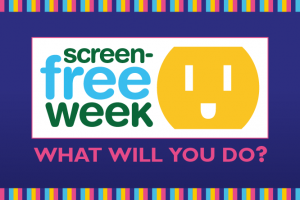 This year, National Screen-Free Week and Children’s Book Week are both April 29–May 5. We have a free event for families and friends each evening, Monday–Friday. Turn off the TV and put away the screens for an hour or so each evening, and join your friends and neighbors as we celebrate! Everything is free, but we ask that you please register in advance to help us prepare the materials for each event. NOTE: Outdoor events are always weather permitting. We post cancellations on our website and Facebook. Bring your family’s favorite board game for an evening of play, and switch it with a game from another family. 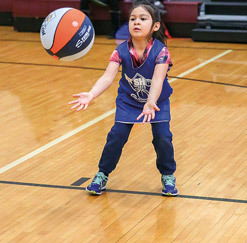 After an hour you will get your game back knowing they had as much fun with it as you always do. Enjoy a hike, some crafts, and outdoor fun! Bring your bike, your rollerblades or your walking shoes and have a fantastic night with the entire family around our 1/2 mile and 3/4 mile outdoor track. Be prepared for some fun along the path: perhaps you’ll find a game to play or a craft to make. Have a blast with a good old-fashioned friendly-family competition on the Mountain View Adventure Mini-Golf Course. Children play for free with a paying adult. Enjoy a beautiful evening sunset at Lake Opeka. We’ll gather around the campfire for stories and songs. Of course, we’ll be roasting marshmallows, too.